CFITrainer.Net is an online learning network that harnesses the expertise of the membership of the International Association of Arson Investigators, the world’s largest association of fire and arson investigation professionals, to deliver training worldwide. CFITrainer.Net serves over 100,000 registered users in all 50 U.S. States and 165 countries. 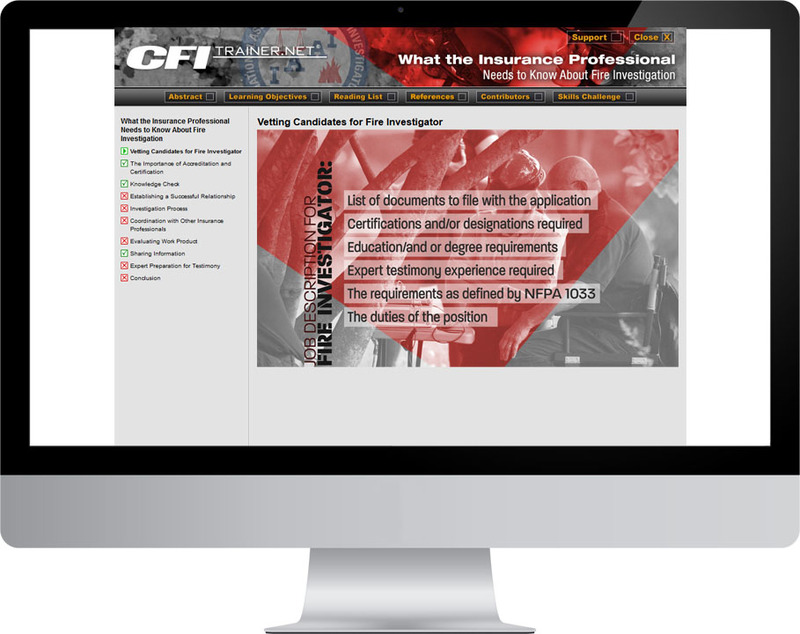 CFITrainer.Net online modules are required by the National Fire Academy, multiple state certification systems, private universities, and corporations. Over 15 years, CFITrainer.Net has built a reputation for high quality training vetted by recognized industry experts and delivered with high production values that include HD video production, motion graphics, 3D animation, scientific demonstrations, and document resources. 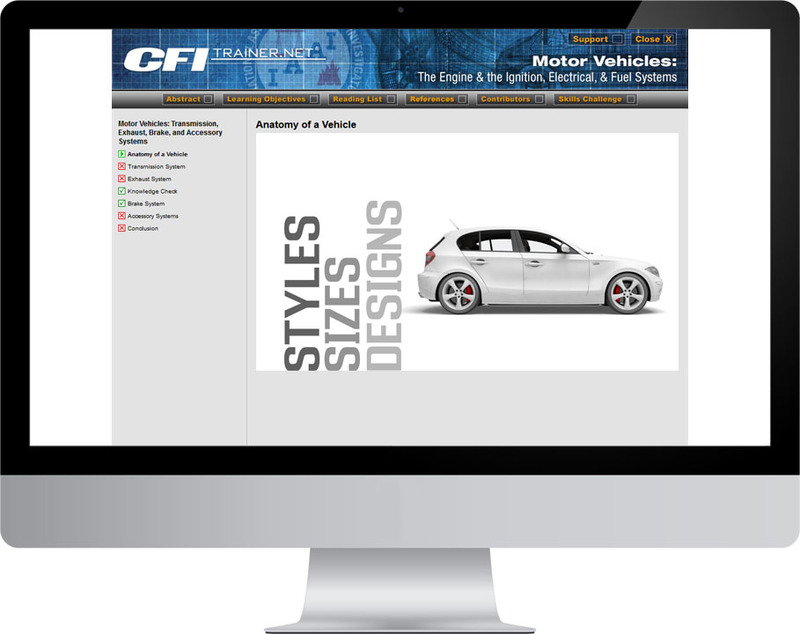 To date, CFITrainer.Net has delivered more than 2.1 million credit hours of training and awarded over 550,000 certificates of completion for finishing modules by passing a skills challenge test. For this project, Stonehouse delivers: producing and course development, all video production services from script to screen, hosting, support, and live reporting of all network usage and polling. We also provide the IAAI with marketing assistance, email campaigns, podcasts and worldwide interactive webinars that are integrated into the system. 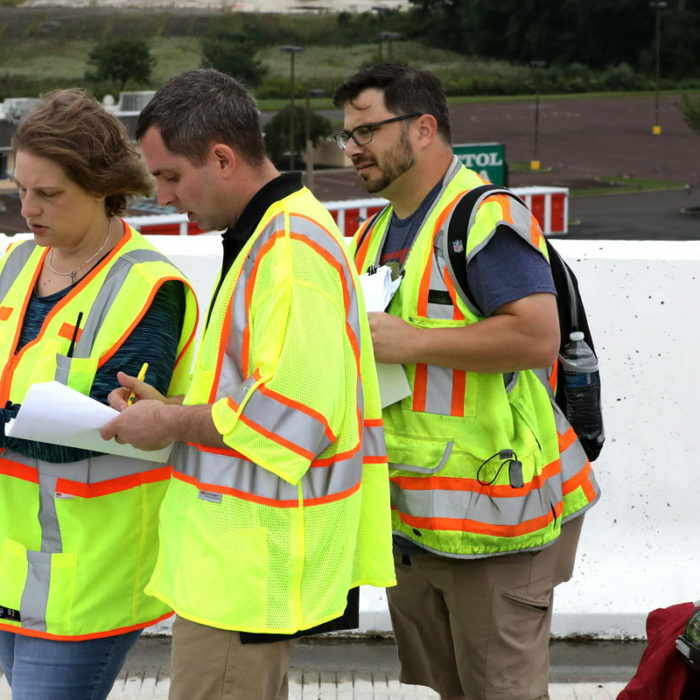 For a cost per seat hour of under $3, CFITrainer.Net has elevated IAAI’s reputation and increased its membership by becoming the premier training resource for fire investigators and allied professionals, consistently scoring 94% and higher in user satisfaction and network reputation ratings in third-party administered surveys.